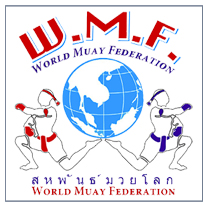 The World Muay (Thai) Federation – W.M.F. 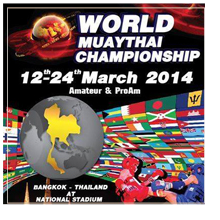 with the full support of the Royal Thai Government, Ministry Of Tourism and Sports and Sport Authority of Thailand are hosting and organizing the 13th Edition of the World Muay(Thai) Championship Amateur and Pro-Am during the dates: 12th to 22nd March 2016 in Bangkok, Thailand. I, Lt. Gen. Akachai Chantosa, President of World Muay(Thai) Federation and the Organizing Committee for this event will like to extend this official invitation to attend and participate to all your team members, officials and country representative. Professional Intercontinental Title 71kg Belt and Title ranked under WMF PRO. 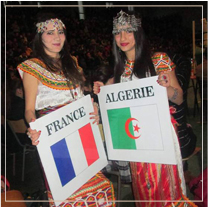 On 27th November 2015 WMF Algeria – Association sportive Assirem de Muay-Thai akbou had organized the Professional Intercontinental Title 71kg under full PRO Muaythai Rules. 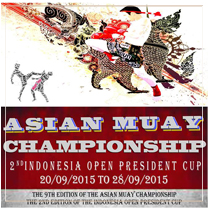 Dear all, dear friends and supporters of Muay Sport. It is with great pride to announce that our organization and the sport and traditional martial arts it governs had been accepted as a full International Member of TAFISA. We would like to thank all of you for your support and express our gratitude for the hard and constant work and dedication from our executive team which completed this historical step. There is more work ahead and we belive that this is the stepping stone for a great future for the Sport of Muay and the Traditional Martial Arts of Muay Boran, Muaythai, Muay Chaiya etc. 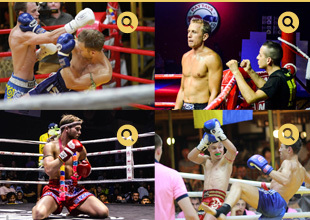 The International Sanctioning Body for Professional Muaythai Events, Title belts, National and International Championships, Marathons, Contests. World Title Belt, World Champion Title, European Champion Belt and European Champion Title.